We are proud to provide a friendly and personal electrician service to all of our residential clients throughout the Staffordshire area. Day & Knight cover everything from fixed price small electrical changes to full rewires on Houses, bungalows, apartments and static homes. 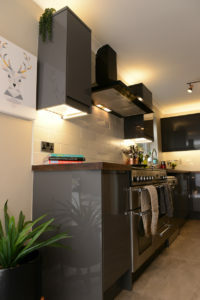 Serving homeowners as well as landlords we can advise on electrical safety as well as design and cost saving for consumers on all notifiable and routine electrical work. What is notifiable electrical work? There is no room for error in electrical work and getting it right first time is paramount to personal safety. High standards are so important to domestic properties that all notifiable work must comply with Part P Building Regulations. 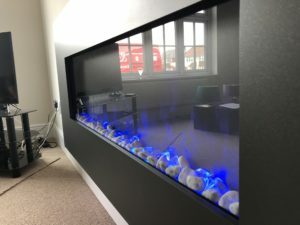 Work carried out by a DIY enthusiast, builder or uncertified electrician will not be compliant as they do not have the professional qualifications to legally sign the work off and provide the relevant certification and this could effect your house insurance and most of all the safety of your self and your family. Do I need to use a registered Electrician? This is the obvious option. Qualified electricians that belong to a professional body, such as NICEIC will be able to self-certify their work and provide a Building Regulations Compliance certificate on completion. 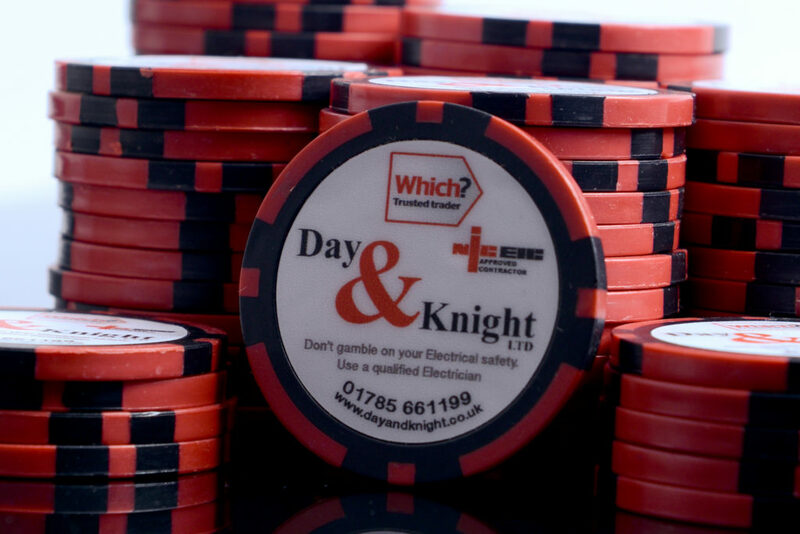 Day & Knight Electrical in Staffordshire are NICEIC registered and a Which? Trusted Trader. We will always provide a safe, reliable and trustworthy service when doing any electrical installation no matter how big or small the job might be, we pride ourselves on professional conduct. 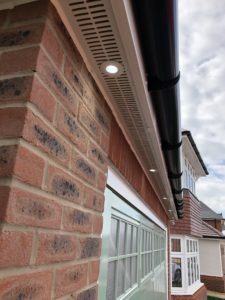 Being NICEIC registered allows Day and Knight Electrical, of Stafford, to provide all the necessary paperwork to show all notifiable work is compliant with Part P Building Regulations. If you fail to use a certifie electrician for notifiable electrical work don’t make the mistake of thinking it can be checked and signed off at a later date – this is not an option. Unless an electrician has overseen the design and installation of the work they cannot legally certify it, instead they can issue an electrical-inspection condition report – the only way to get a Part P compliance certificate is to re-do the work. Put your Trust in a Registered Electrician in Stafford! Rather than taking a chance always check any Stafford electrician you use is certified as Day and Knight is and avoid the risk of having to pay twice to get the job done properly. While unregistered electrical installation work can be certified if building control are notified in advance this will incur a fee and notification must be given before work starts. The message – backed by legal requirements – could not be clearer: If you want a job doing properly get a fully certified profession electrician in to do it. As NICEIC accredited and Which? Trusted Trader electricians we can handle any domestic electrical job, from fitting sockets and switches to a complete rewire within a new build or complex redevelopment property. This includes indoor electrics such as your kitchen and bathroom or outdoor electrics such as garden lighting and security floodlights. 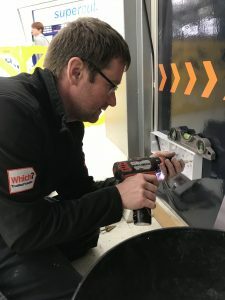 Fixing or replacing old/faulty fuse boxes, resetting circuit breakers and testing Residual Current Devices (RCD) is a regular occurrence as is working alongside architects and developers on larger installations. Domestic electrics have to be tested every 10 years for legal and safety reasons. If you own a property more than 25 years old you will need to check that the electrical wiring is safe. Faulty or out of date wiring can cause an electric shock, not to mention the risk of a fire so never take chances. We carry out small and large-scale electrical rewires and inspections in a multitude of domestic settings. If you think you have out-of-date components such as round pin sockets, dolly switches, rubber/fabric/lead insulated cabling or an old-fashioned fuse box, get in touch for a FREE quote … call 01785 661199 today. Living in today’s technology driven and gadget age, there’s not much we can do without a power source. That’s why it’s so important to stay up-to-date with electricity and building regulations to ensure you’ll always have access to power. Professionally designed and installed lighting makes a real difference in any environment to create mood and ambience. LED lighting is becoming the preferred light source due to its energy efficiency and durability. Available as wall lights, spotlights, ceiling lights and under cupboard lights, and is electronically controlled by any device, it makes an attractive proposition. LED lighting can be used in outdoor settings such as a garden where colour change floodlights highlight features or create an atmosphere for a social event. A fuse box (or consumer unit) is what delivers electricity around your property. They contain three components: fuses (or circuit breakers), main switch and Residual Current Devices (RCDs). They may also contain circuit breakers. It is a good idea to familiarise yourself with the main switch as this is what turns off the electricity in an emergency. 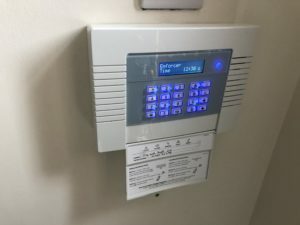 Residual Current Devices (RCDs) are a safety feature that instantly disconnects a circuit from the electricity supply when a fault occurs. Circuit breakers work in a similar way, automatically switching off a circuit if a fault is detected. These are a common feature on modern fuse boards but older boards will contain re-wireable fuses. Sockets perform a vital function but it’s very easy to overload a socket by plugging in too many appliances and increase the risk of a fire as a result. As a Which? Trusted Trader we often see this with domestic electrical installations. In many cases, it is due to overloading but in some situations, the wrong appliance is plugged into a socket or extension lead, exceeding the maximum current rating. There are a few simple tips such as always use a 4-way extension lead rather than the block-shaped adaptor and check the current rating before you plug appliances in. Check the condition of your sockets and appliances and if they look damaged or faulty do not proceed … staying safe is down to common sense.